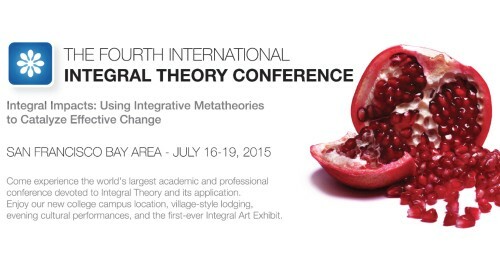 The Fourth International Integral Theory Conference will be held from July 16-19, 2015, at Sonoma State University in California. This is the worlds largest academic, professional, and artistic conference on Integral Theory. The conference is hosted by hosted by MetaIntegral Foundation in collaboration with The HUB: An Integral Center for Diversity, Vitality & Creativity. The list of presenters are impressive and in cCHANGE we are really honored that Karen O´Brien will be delivering a Keynote presentation at the first day of the conference under the title: Integral in Action: Climate Change and Transformations to Sustainability. Visit the International Integral Theory Conference 2015 website.